Established in 2008, Armijo Design recently celebrated a decade of success in Denver. During the last ten years, Beth has made her mark with a variety of intriguing designs meant to bridge the divide between practical and eye-catching. Beth is always determined to meet her clients' needs and preferred aesthetics, but she is particularly enthusiastic about designing within her specialty areas, which include color consultation, architectural fixture selection, window treatments, and more. Her design interests and abilities may be diverse, but as Denver's Jill-of-all-trades, she is capable of creating a cohesive end product. There's no question that Beth is passionate about art and interior design. This has been evident not only throughout her career, but also her childhood. When she was in 3rd grade, she attended art classes at Arapahoe Community College — an impressive early education from somebody who showed natural talent from the very beginning. But while Beth realized her love of art early on, she didn't seriously pursue it as a vocation until she began studying business at the University of Colorado Boulder. Driven as always, she completed not only her required business coursework, but also art classes at night. Beth's studies in Florence ignited her love of architecture. Soon, she found herself enrolling in the interior design program at the acclaimed FIDM campus in San Francisco. Following graduation, she worked in interior design for several years while continuing to live in the Bay Area. During her time on the West Coast, she was voted San Francisco's top up-and-coming designer — a huge accomplishment in a city chock full of talent. Upon relocating to Denver, Beth launched Armijo Design Group. Since returning to Colorado, her work has been recognized on several occasions and by prominent publications. She has been featured in 5280 Magazine, Colorado Homes & Lifestyles, and Better Homes and Gardens. Her work can also be viewed on Instagram, where she displays a beautiful portfolio that captures the essence of her unique style. Beth strongly believes that every client should fall deeply in love with the designs her firm creates. 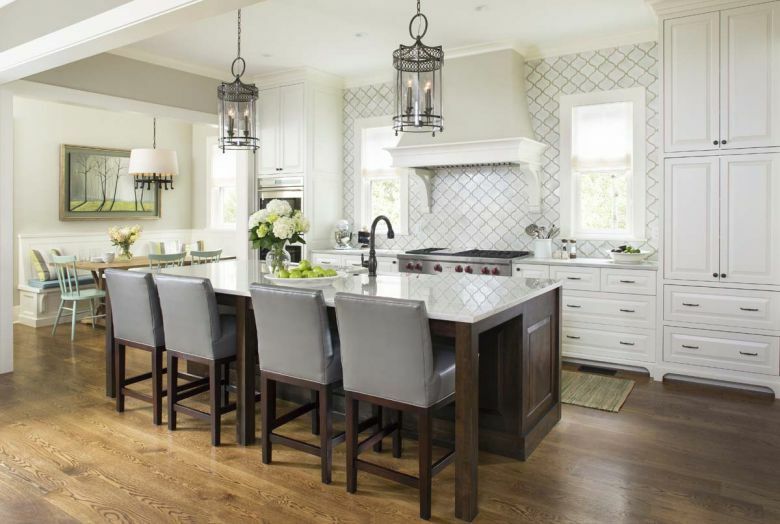 She's all about personalization; while she enjoys infusing homes with her distinctive style, she always strives to do so in a way that appeals to her clients. To ensure full satisfaction, she works closely with clients to determine what, exactly, they want and which style elements will best reflect their distinctive personalities. Because she is so in tune with her clients, she does not find the design process particularly stressful or intimidating. Rather, she relishes the challenges and opportunities each new client provides. 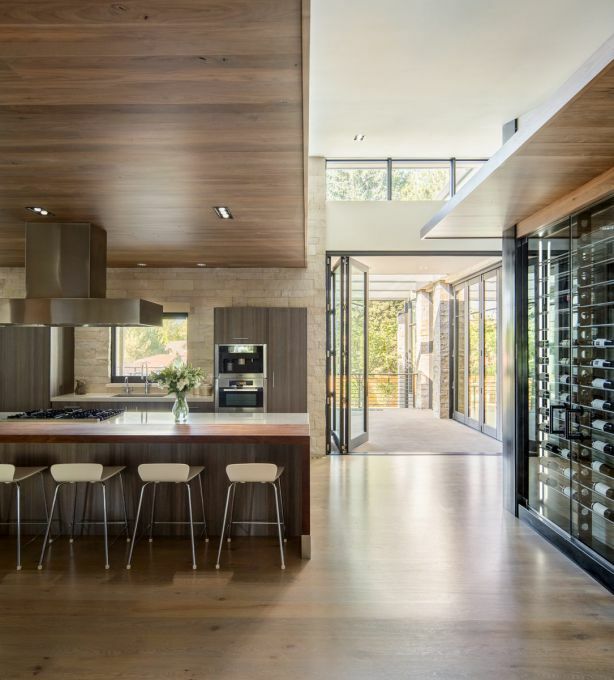 An excellent example of Armijo's strong working relationship with clients: working closely with Craine Architecture on a house in the beautiful Bow Mar neighborhood. The client was determined to blend sophisticated adult vibes with a distinctly playful feel that would appeal not only to her daughters, but also to her 'second-grade self.' Armijo clearly delivered, collaborating closely with the project's architects to create a livable space with touches of whimsy throughout. The completed home was featured in Colorado Homes & Lifestyles. Another project that exemplifies Armijo's approach: her recent exploits in Denver's Cheeseman Park. She worked with young clients who desired a casual environment within a historic home that featured a classic layout, complete with maid's quarters. Her successes are outlined in 5280 Home. While Beth finds inspiration in a variety of pursuits, her groundbreaking ideas are primarily sparked by travel. Since discovering her love of architecture in Florence, she has continued to regard the beautiful city as a top source of inspiration. She also continues to be fascinated by the beauty and culture of San Francisco. New York has long held great esteem among designers — and Beth is no exception. In addition to traveling, Beth keeps an eye on the world of fashion — both in Colorado and abroad. She feels that fashion and design are closely linked; the concepts she sees on the runway one season are almost destined to take over the interior design landscape the next. At Decorative Materials, we're pleased to work with and among some of Colorado's most talented interior designers. Beth Armijo exemplifies the passion that we are continually thrilled to observe in the greater design community. We're excited to see Beth's creativity continue to play out in a variety of local homes and businesses. Are you excited to incorporate beautiful tiles into a design just as unique as you and your loved ones? Feel free to stop in at our Denver showroom to see our favorite tile design trends on display. You're also encouraged to take a quick glance at our inspiration gallery. Don't hesitate to get in touch to learn more about our approach to interior design.